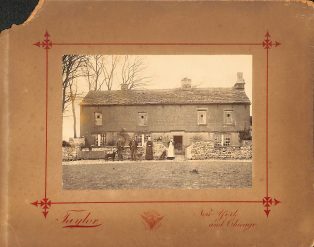 A collection of over 80 deeds, indentures, wills and miscellaneous documents mostly on vellum relating to Newland House Farm, Horton in Ribblesdale and dated between 1665 and 1981. These documents, housed in a large tin deed box, were purchased from the estate of Phil Hudson (Hudson History) of Settle by Ian and Sheila Fleming of Newhouses, Horton in Ribblesdale in 2016. Phil acquired them by purchase some ten years previously. Efforts have been made to photograph the documents and include them on this site, However, the creasing and folding of many of the larger vellum documents makes the result of less than archival quality, but the majority should be just about readable. In addition, most of the late 18th and early 19th Century documents were transcribed in the late 19th Century and the digitised pdf versions of these transcriptions at nhd007/001 – 1741 to 1843 and nhd007/002 – 1843 to 1859 are easier to work with than the original documents.